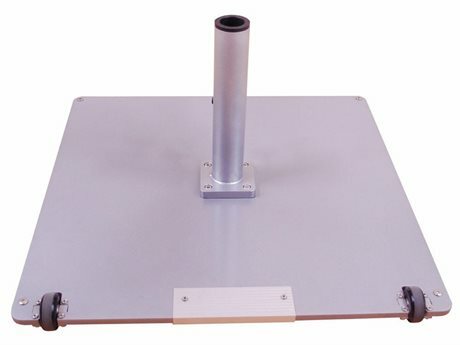 The 040SQ base is designed for the 772 half wall umbrella. 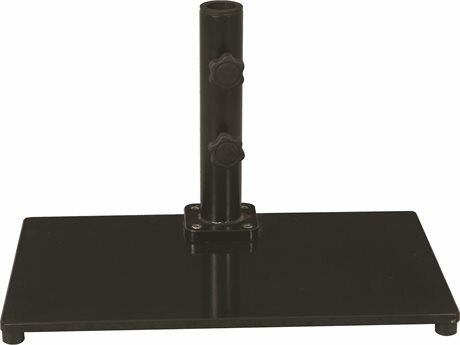 it can be placed flush up against a wall. The tube is secured via 4 stainless steel screws that are screwed into the plate. 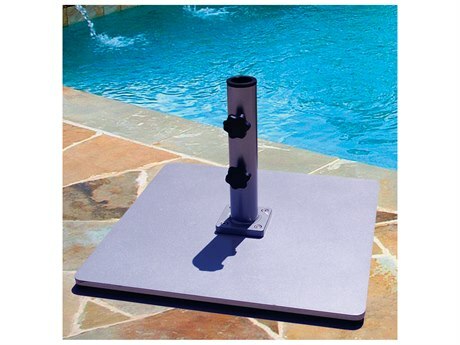 All steel plate bases are primed with anti rust coating to prevent rust. 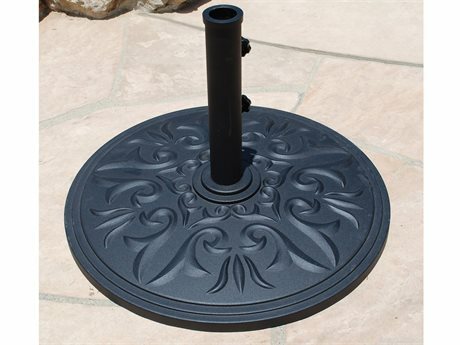 The protective rubber feet prevent the metal base from touching the surface of the patio. 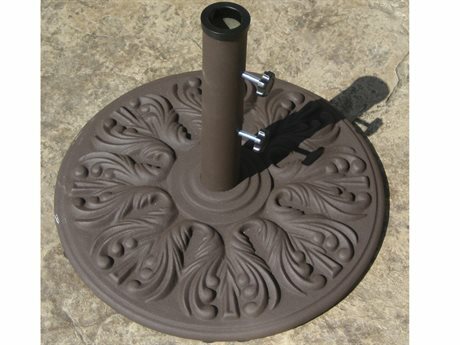 This base comes with 2 rubber feet in the front as shown, but the back two bolts on the bottom do not have added rubber feet, so the base tilts back a bit. The manufacturer claims that this makes the base more stable when it is up against a wall. 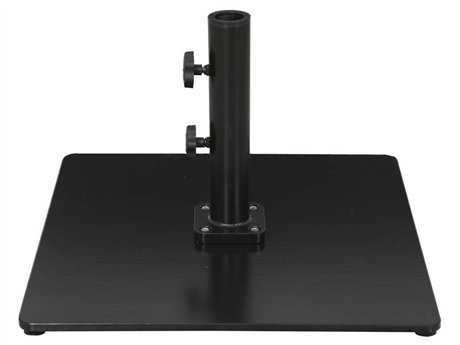 However, this places most of the weight of the base and umbrella on the two back bolts that don't have rubber around them. Unless you place the base on a protective surface, it will scratch your deck. Sturdy and strong. Stable in the face of strong winds.